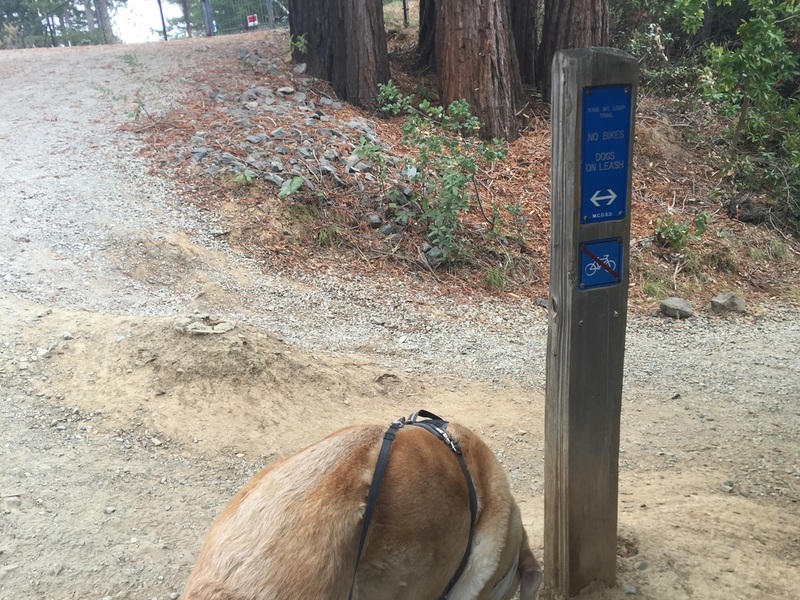 Parking: Free parking near the trailhead, please be respectful of residents. 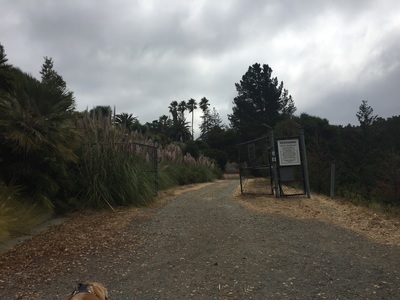 Park near the unmarked gate, walk down the gravel road and you will soon see a trailhead. 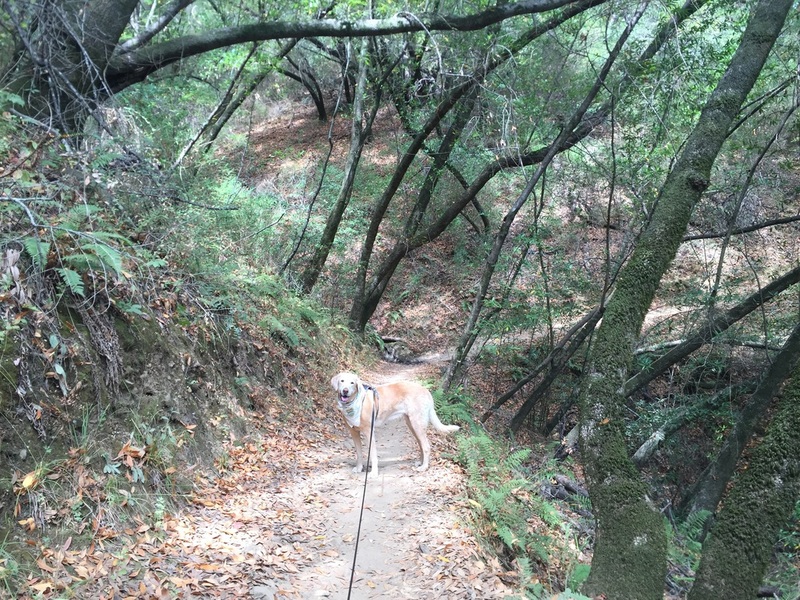 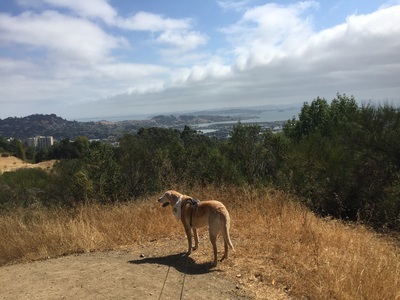 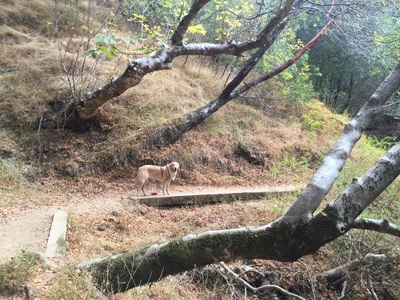 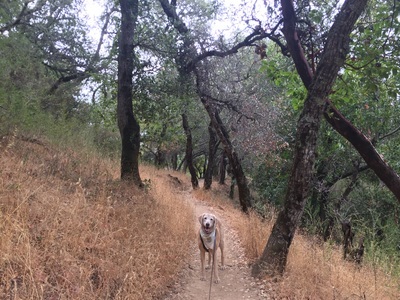 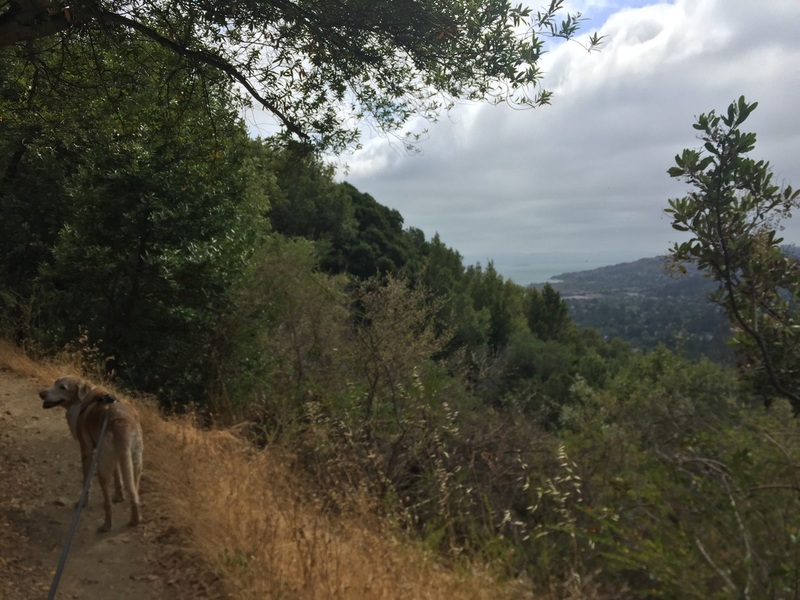 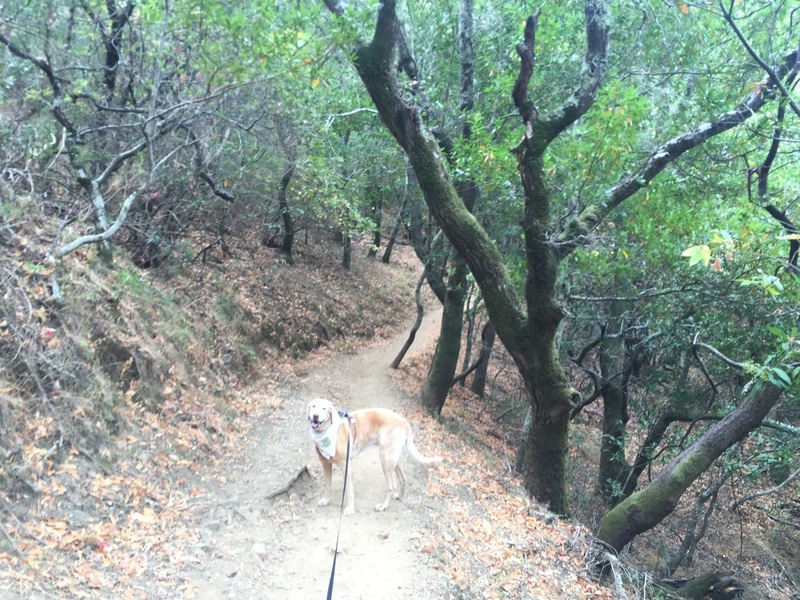 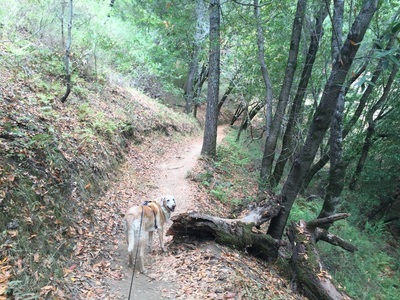 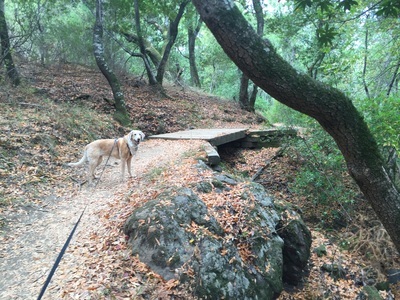 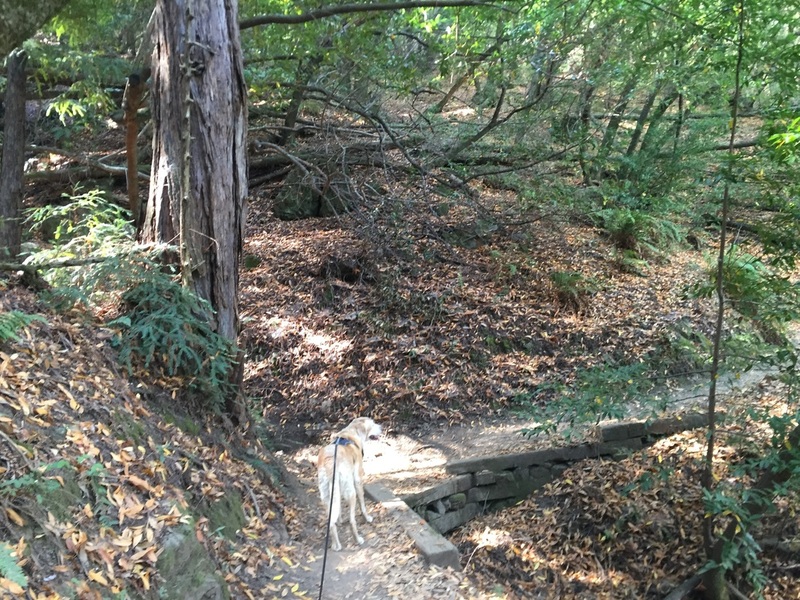 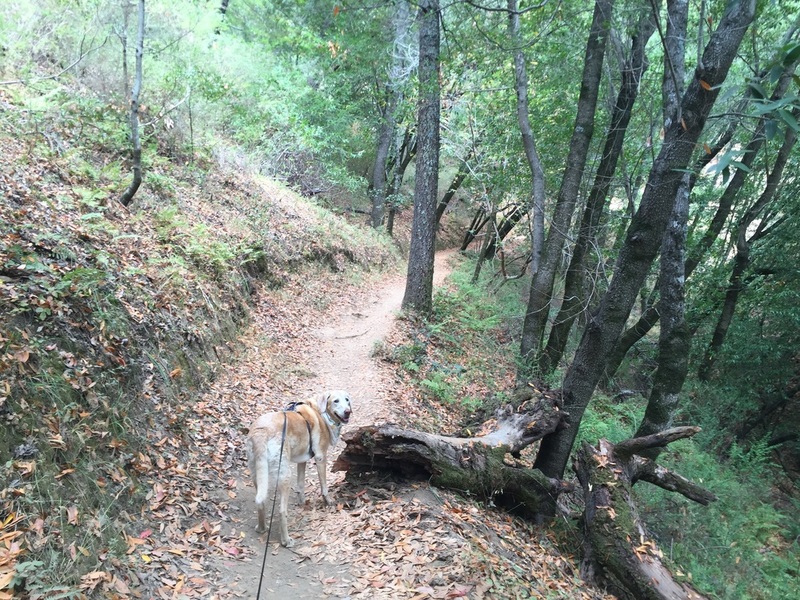 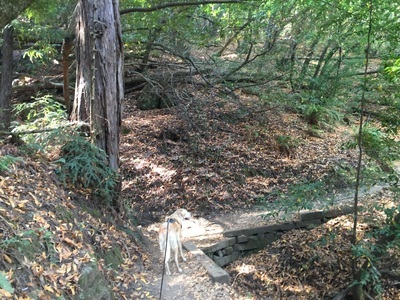 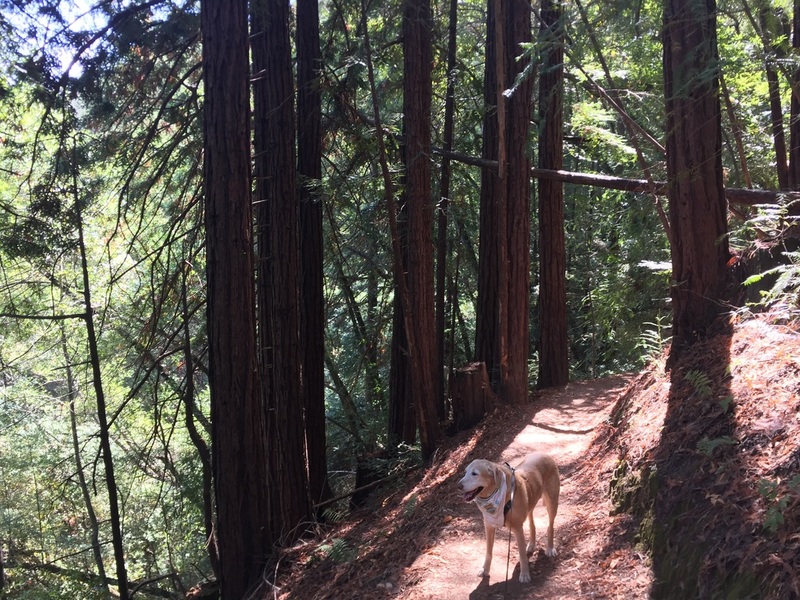 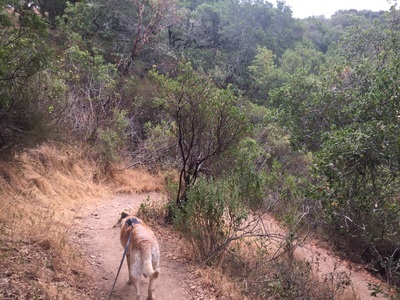 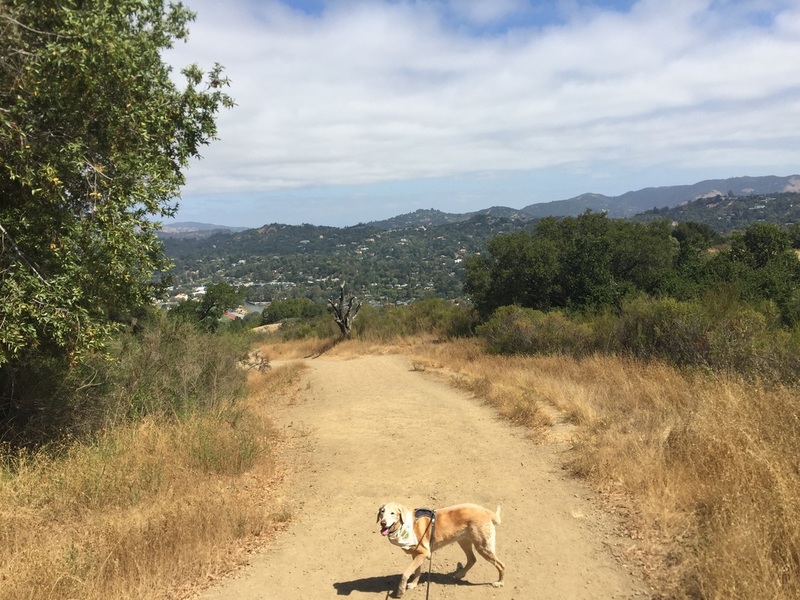 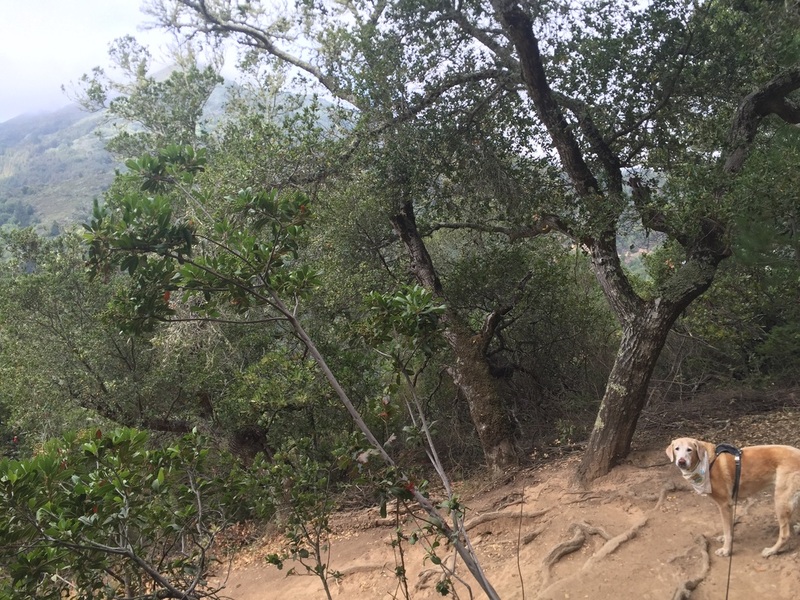 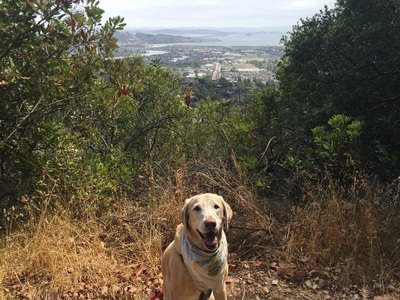 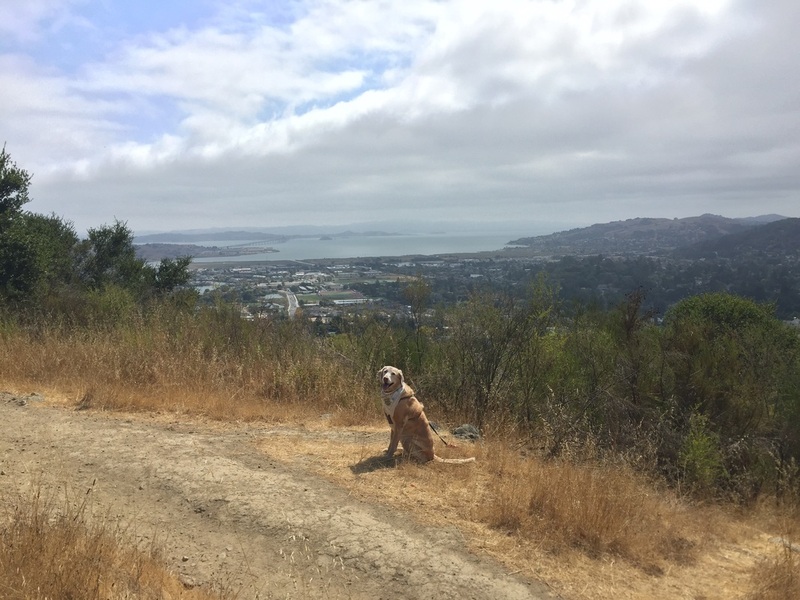 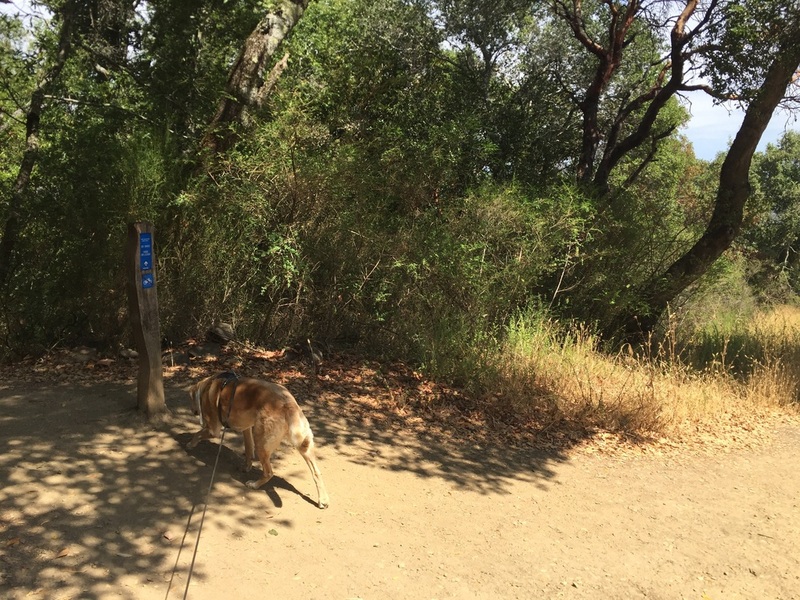 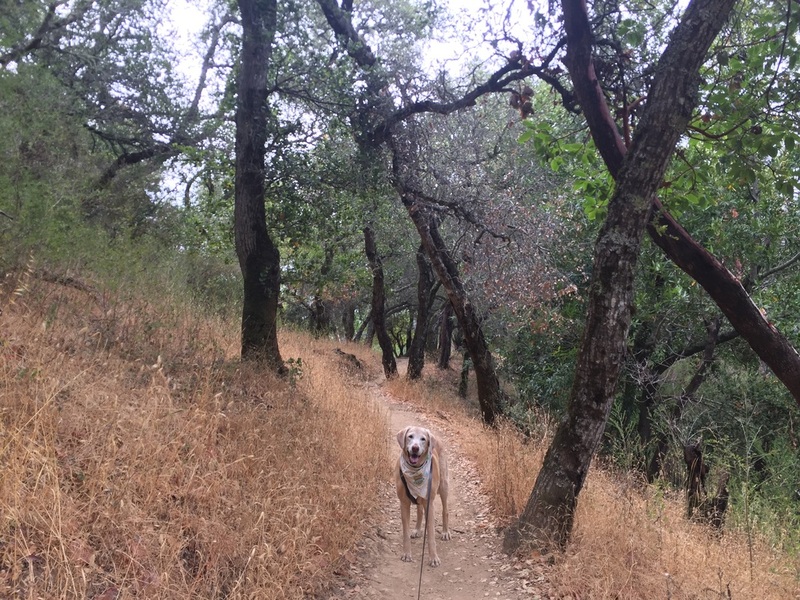 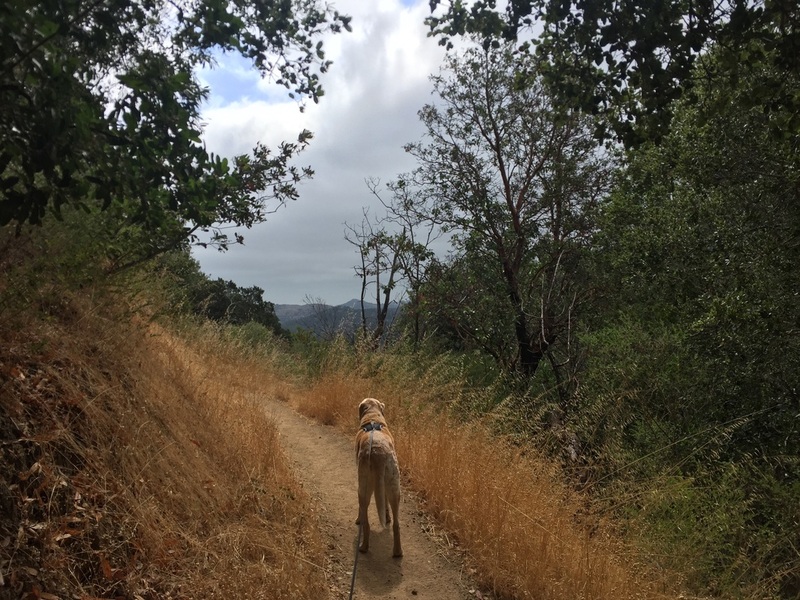 Description: This 193-acre preserve has shady trails with views of the Bay Area. 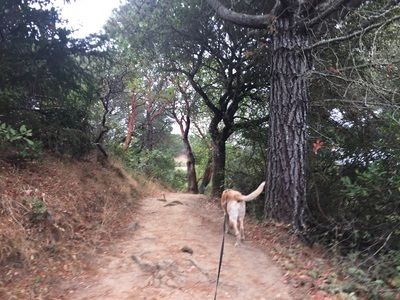 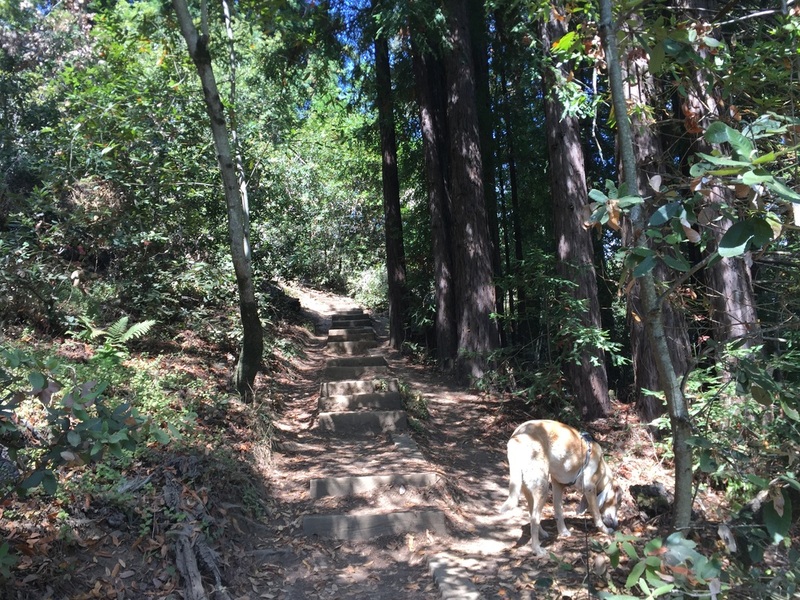 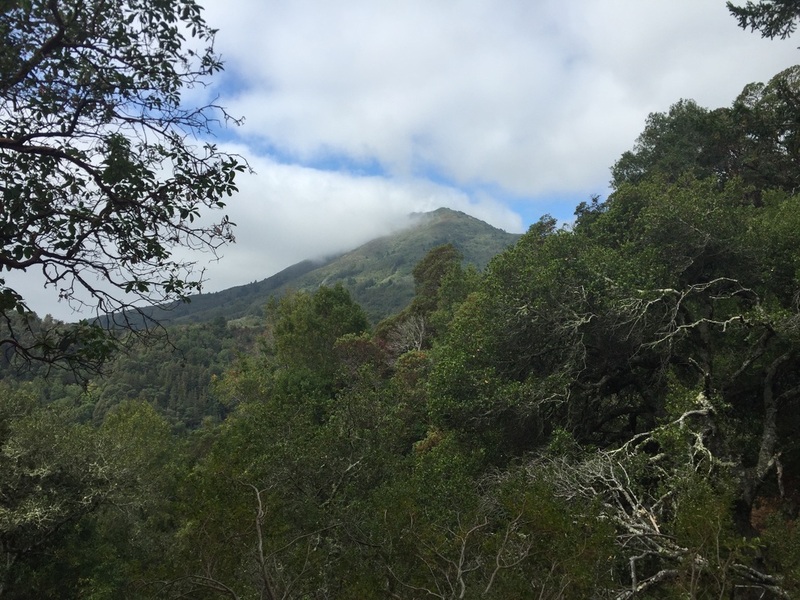 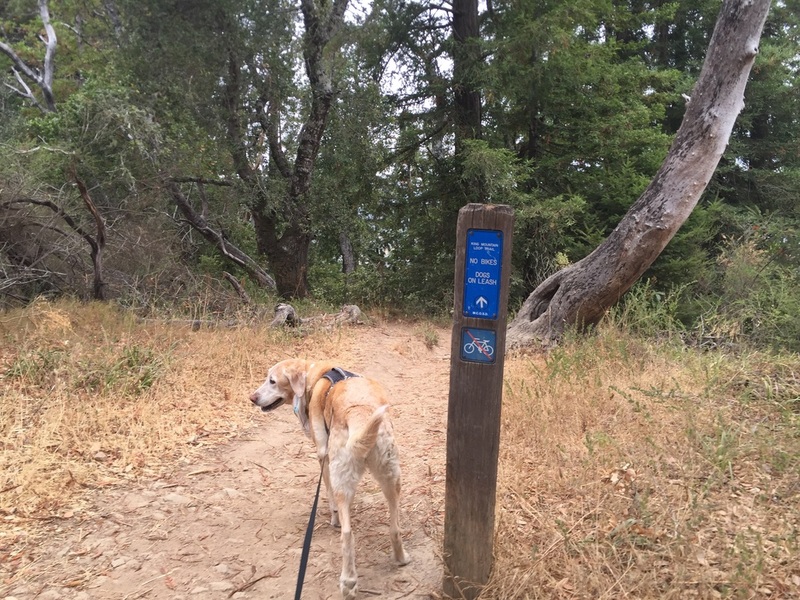 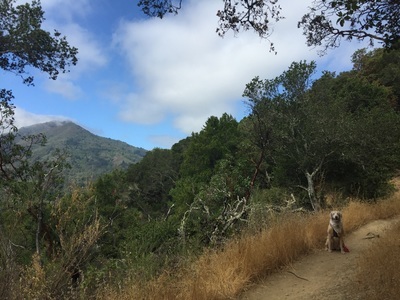 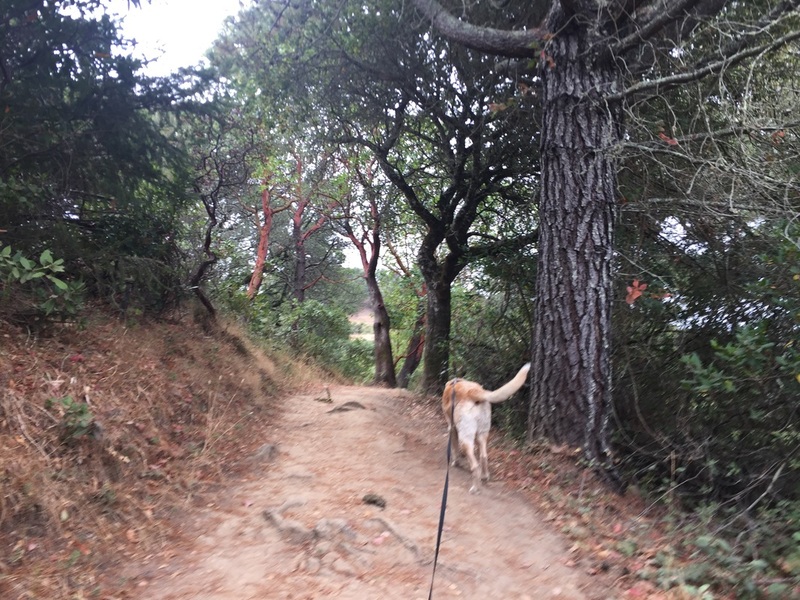 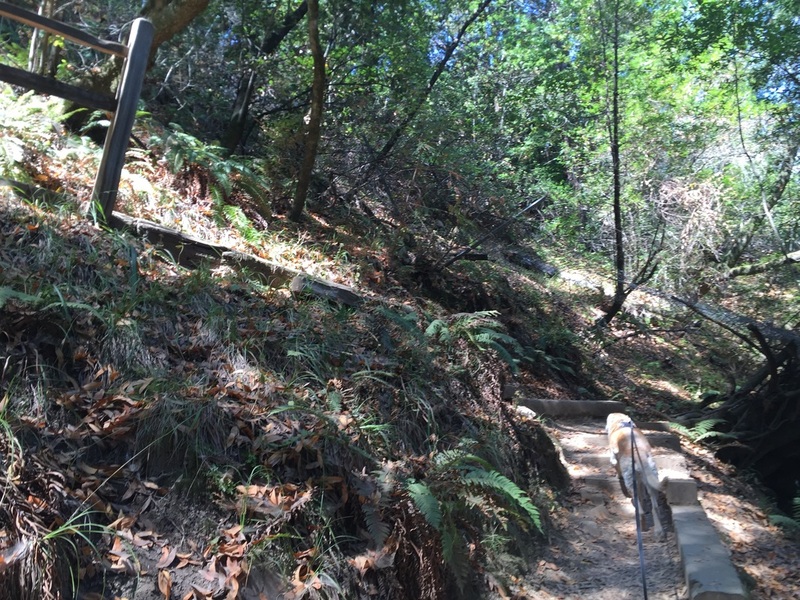 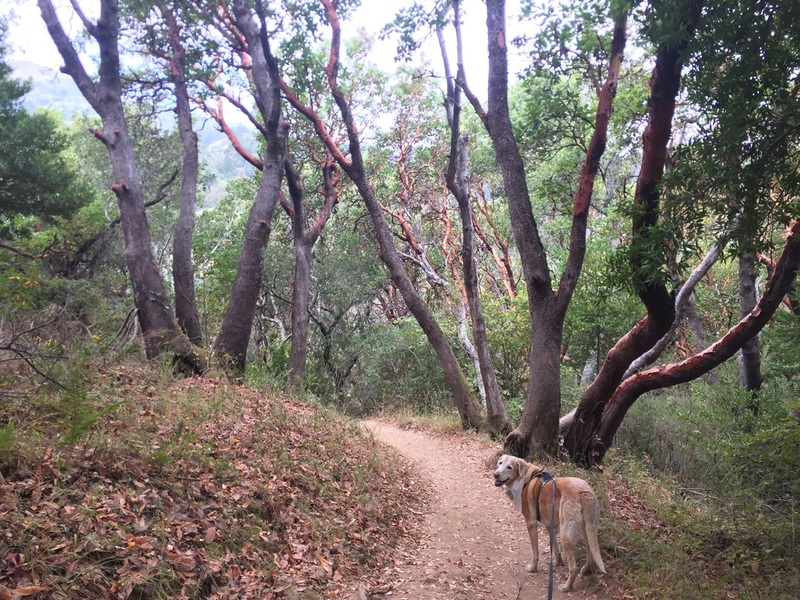 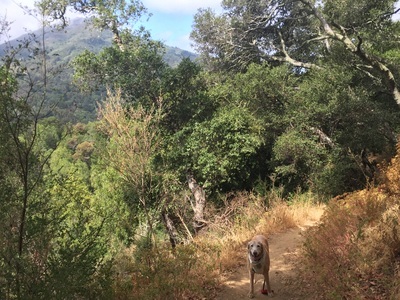 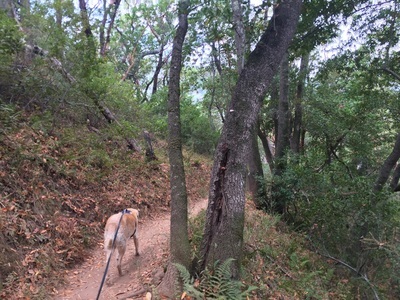 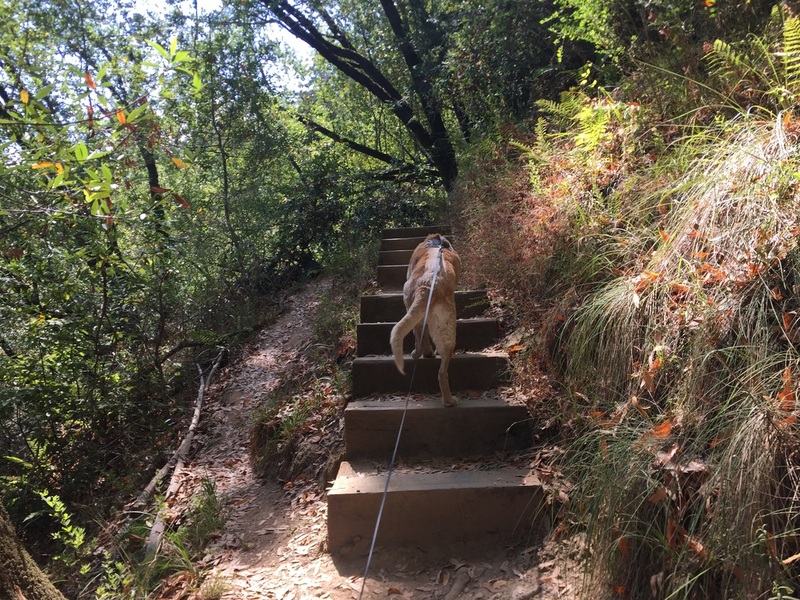 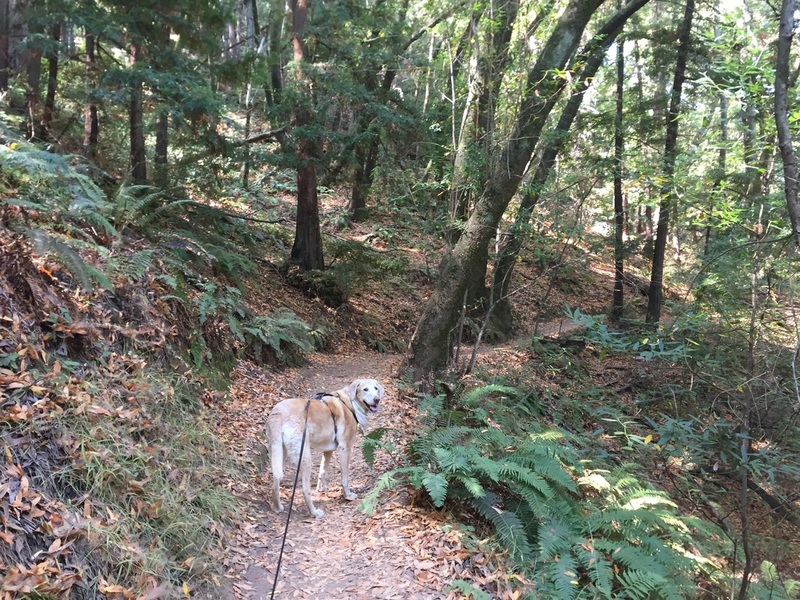 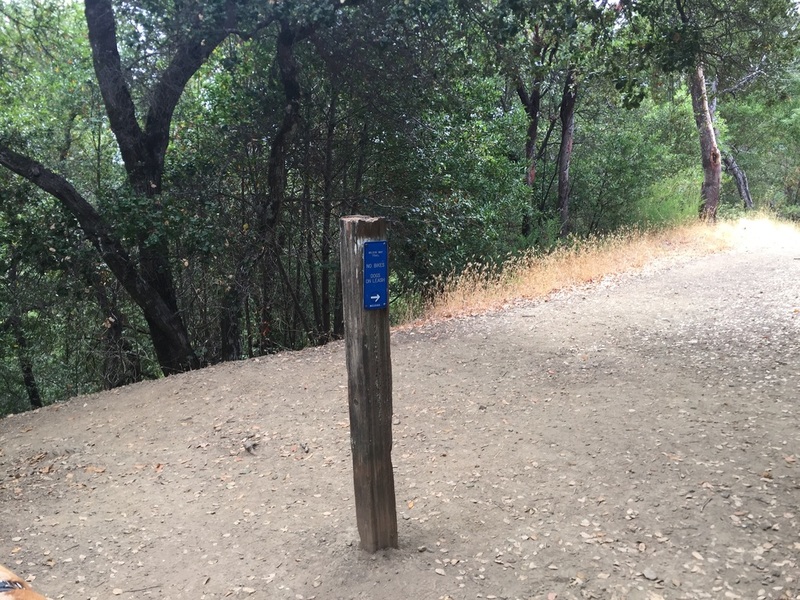 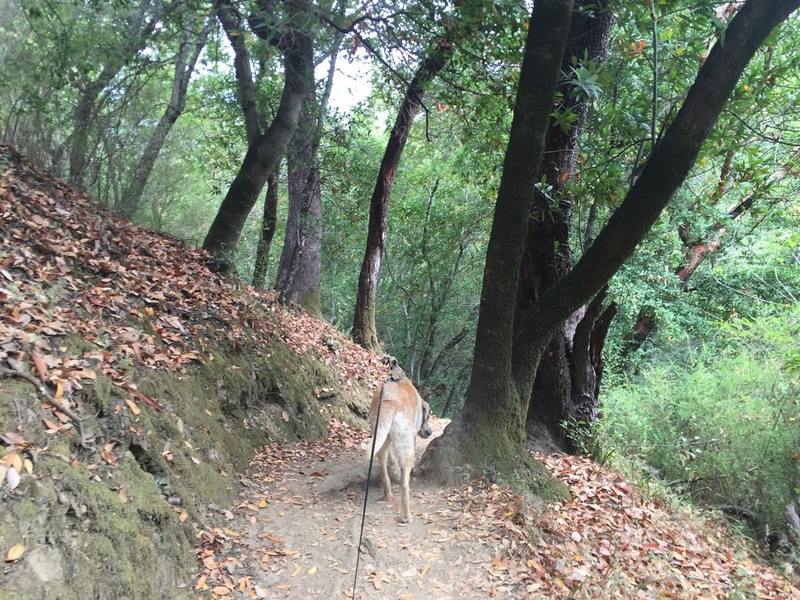 You can take connecting trails into King Mountain, Mount Tam and Blithedale Summit. 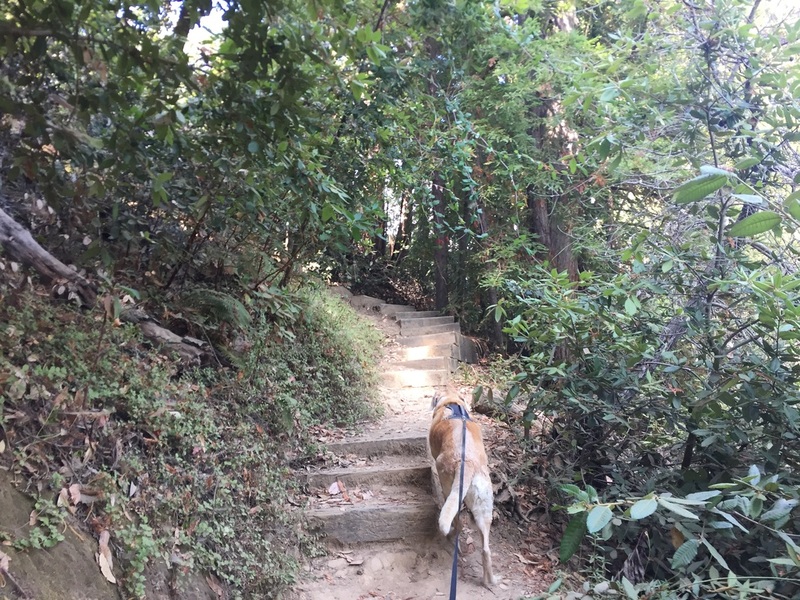 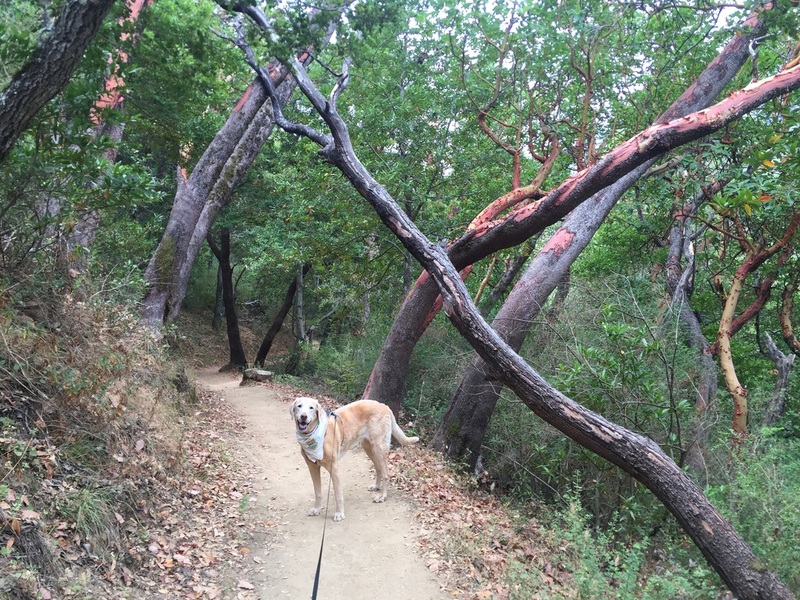 Trails skirt Larkspur Creek and feature a few seasonal waterfalls, including Dawn Falls. 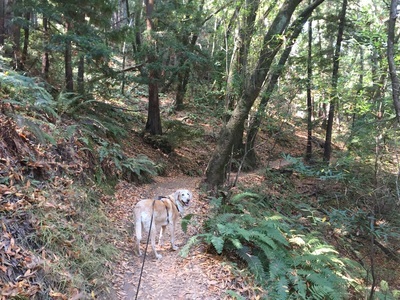 We hiked the King Mountain Loop Trail, which winds down into the canyon and has trails shaded by moss-lined redwoods and douglas firs. 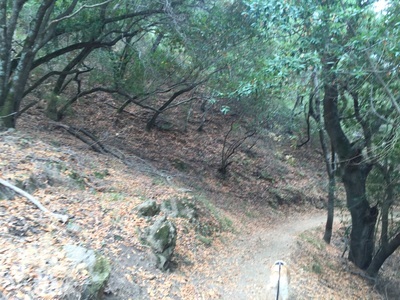 Most of the loop is shaded except for a short stretch as the trail climbs back up. 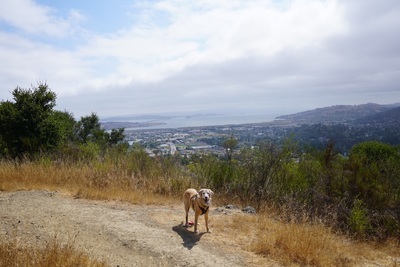 From here, the trail opens up and yields views of the Richmond San-Rafael Bridge all the way to SF. You will cross brides and climb quite a few stairs to return to your starting point, and overall it's a beautiful hike. 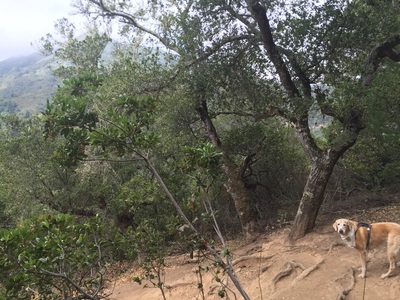 You can take the Citron Ladybug Trail down to Dawn Falls to continue your hike to the West.